home Home arrow_right Forums arrow_right Minecraft arrow_right Skins arrow_right Have you ever made a Link skin? Please only answer if you consider yourself to be a Skin maker. As a bit of a joke I keep saying "every skin maker has once made a Link skin". Now I am wondering how many skin makers actually made at least 1 Link skin in their skin making 'career'. So that's the question really :P as a skin maker, have you ever made a Link skin? If you did, feel free to share it in the comments as well. For those who might not know, Link is a character from The Legend of Zelda. Nah, I would never make someone called Link, I only know of Zelda. Of course it counts! Link = link! I did once, but that was when I just used noise! So as you can guess it looked terrible! I tried to find it or a picture, but I was unsuccessful. It's just a question, not a callout. 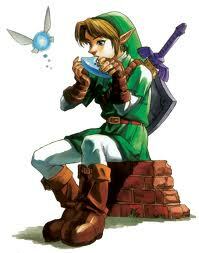 The popularity and recognizable design of the character naturally resulted in Link skins being very popular/common.